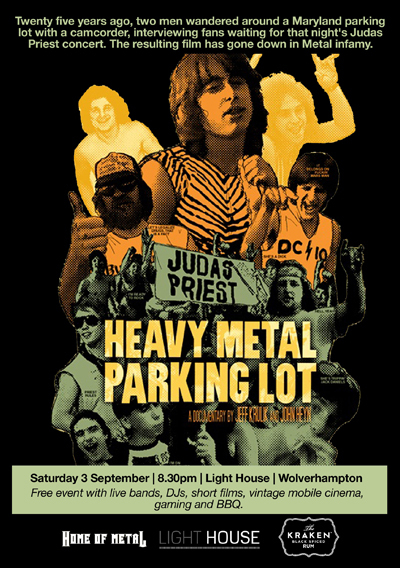 Brace yourself for a juggernaut of Heavy Metal cinema, blazing a trail across the Black Country with an awesome programme of documentaries, rare archive, late-night horror and special guests. The heart of the action will be at the Light House Cinema in Wolverhampton, with a menu of movies that will take you from Midlands’ foundries to Moroccan rooftops, from spandex nonsense to raw doom. The Vintage Mobile Cinema is a beautiful 1960s cinema on wheels that has been restored and will be traveling across the Black Country for the weekend. 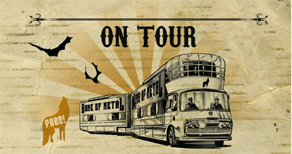 Come onboard and watch archival and Heavy Metal related short films, exploring the industrial landscape of the region. Detailed programmes for each day can be found here. 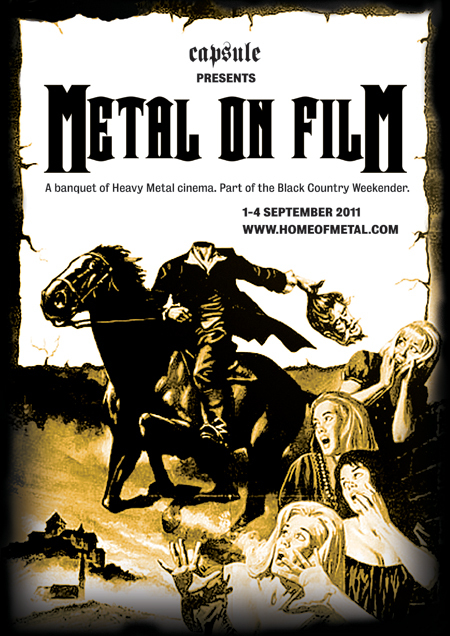 As part of a special knees up, Home of Metal is taking over the gallery with films, live music and a Silent Metal Disco. 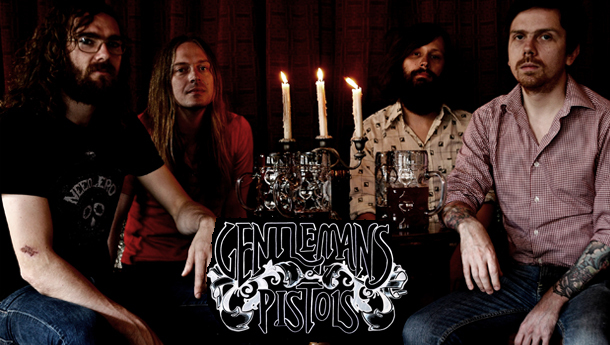 ‘Patch Jacket’ is a collection of shorts exploring the full spectrum of Heavy Metal devotion and Gentlemans Pistols will be bringing their no frills, filthy rock n roll. Sponsored by The Kraken Rum – cocktails will be available. The legend goes that some blokes from a heavy blues band called Earth passed a film poster in Perry Barr, and decided to pinch its title for their new name. Expect women in peril, clunky dubbing, bags of suspense, lush, lurid colours and Boris Karloff threading it all together in style. Nottingham-based filmmaker Jeanie Finlay’s latest film sees her camera trained on the employees and punters of Sound It Out, Teesside’s last surviving independent record shop, and crafted a moving portrait of vinyl obsessions. We’re delighted that she will be present to talk about the film. A self-portrait of Loughborough teenager, Chris Needham deals with adolescent trials including woman trouble, musical differences and an annoying little brother. Chris is still pledged to Heavy Metal, and will be here to talk about his film afterwards. It’s 25 years since Jeff Krulik and John Heyn walked around the Capital Center’s parking lot in Maryland, interviewing boozed up rockers before a Judas Priest gig. The resulting document has become required viewing on tour buses across the globe, and now you can enjoy the clothes, the hair and the language in all their glory. Featuring live music from Stinky Wizzleteat and Selfless, DJs and food. Sponsored by The Kraken Rum – cocktails will be available. After our Saturday night party, you can check out a late night screening of this video nasty. Napalm Death lynchpin Shane Embury has selected one of his favourite horror movies, where a hotel conceals the gateway to hell. Expect gore, mayhem and face chewing spiders. The gripping tale of a family turfed out of their home, Cathy Come Home is best known as a campaigning drama-documentary that helped to change housing policy. It’s also a vivid snapshot of Birmingham in the 60s, filmed on the same Aston streets where Black Sabbath played as kids. Producer (and long-suffering Villa fan) Tony Garnett will be here to talk about the film. What better way to round off the weekender than with the mother of all metal films? A spoof documentary (or, if you will, rockumentary) which set out to satirise the worst excesses of hair metal and pomp rock, This Is Spinal Tap ended up becoming a touchstone and perhaps even an inspiration for many of the bands it took the mickey out of.